Beads of Courage, Inc has partnered with The American Association of Woodturners. Over 60,000 children in 260 hospitals across the United States, Canada, Japan, New Zealand and United Kingdom participate in program. These children are all battling serious illness. As a child goes through the journey on treatment for cancer, blood conditions, heart disease or severe burns, they collect colorful beads as meaningful symbols of courage that commemorates milestones they have achieved along their unique treatment path. 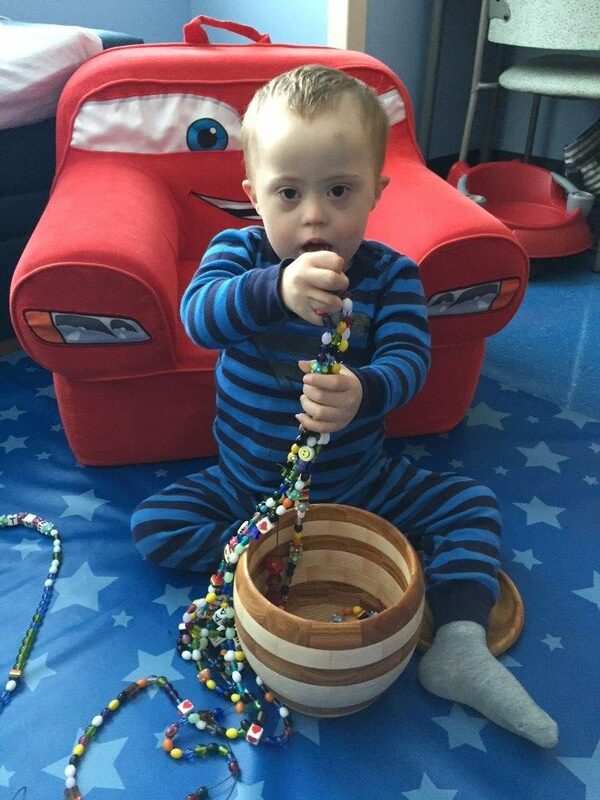 The average bead collection is over 500 beads and a special box will only enhance the meaning for the child. The Dallas Area Woodturners is participating by making boxes and we have agreed to collect these boxes for the Beads of Courage and deliver them to the Children’s Medical Center of Dallas and to the Medical City Children’s Hospital. Just bring your contributions to any regular meeting and we will see that they get delivered to the Beads of Courage organization. Read more about DAW Beads of Courage involvement in the April 2019 issue of the American Woodturner – Journal of the American Association of Woodturners. Read the downloadable file below for guidelines on box size, fit and finish. With the guidance and support from Lou Boudreaux along with a couple of other member voluneers, the DAW leadership has approved the spending of funds on material to create pre cut kits of segmented wood for members to take in the promise of returning a completed Beads of Courage box. This has been a very successful program to get turners without the access to segmenting tooling to create this kind of box. Below is a downloadable set of instructions for putting one of these kits together. For more information about the Beads of Courage program please talk to Lou Boudreaux at the next meeting.